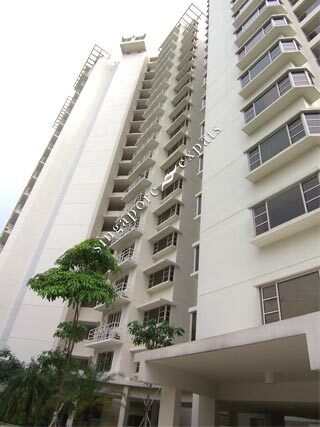 Le Crescendo is a freehold condominium situated at Paya Lebar Road. It is a 20-storey block with distinctive architecture and beautiful landscape. All 228 units in Le Crescendo are North-South orientation which ensures cool breeze all year round. Good schools such as Maris Stella Primary/High School, Kong Hwa School, Chung Cheng High School, Maha Bodhi School, Geylang Methodist Primary/Secondary School and Cedar Girls' Primary/Secondary School are all within close proximity of Le Crescendo. Le Crescendo is in a location with excellent transportation system, Paya Lebar MRT Station is 5 minutes drive away and the up-coming MacPherson & Tai Seng MRT Station will be within short walking distance. Buses and taxis are readily available along Paya Lebar Road. Le Crescendo is accessible via the nearby Pan Island Expressway (PIE). It takes about 20 minutes to travel by car to the city, Central Business District and 20 minutes to the Changi International Airport. Very well connected through expresssways- PIE, KPE. Walking distance to Macpherson MRT and immediate access to multiple buses going to the city, airport/East, Harbourfront, etc Great condo facilities yet in the centre of the city.